Washington Square Press, 9781501165115, 320pp. From the acclaimed author of the "exquisitely written and deeply felt" (Geraldine Brooks, author of The Secret Chord) novel The Railwayman's Wife comes a magical and gorgeously wrought tale of an astonishing event that connects three people across three hundred years. Imagine you looked up at just the right moment and saw something completely unexpected. What if it was something so marvelous that it transformed time and space forever? 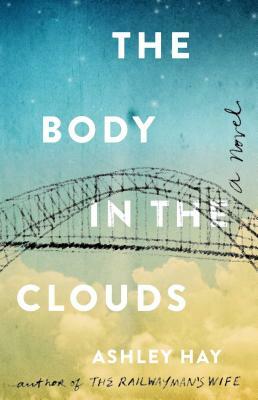 The Body in the Clouds tells the story of one such extraordinary moment--a man falling from the sky, and surviving--and of the three men who see it, in different ways and at different times, as they stand on the same piece of land. An astronomer in the 1700s, a bridge worker in the 1930s, and an expatriate banker returning home in the early twenty-first century: all three are transformed by this one magical event. And all three are struggling to understand what the meaning of "home" is, and how to recognize it once you're there. Widely praised for her "poetic gifts" (Booklist) and "graceful, supremely honest, and] thought-provoking" (Kirkus Reviews) prose, Ashley Hay has crafted a luminous and unforgettable novel about the power of story, its ability to define the world around us, and the questions that transcend time.